A bit of a late addenda to a trip to Pudding Norton last year that ended up with a chase around the countryside near Fakenham looking at Deserted Medieval Villages, shrunken settlements and ruins. The whole area is haunted by the Flockmasters and full of such sites. Each one well worth a visit. 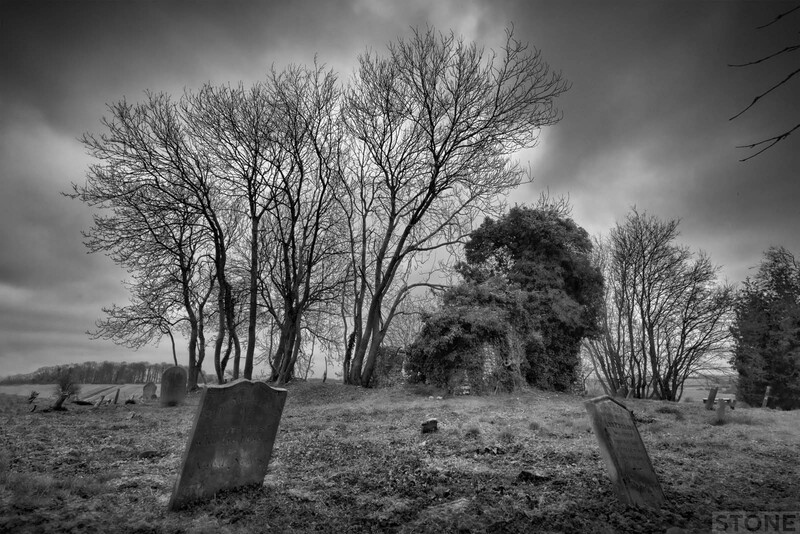 Little Ryburgh is a bit special more because of the oddness of the later additions to the cemetery than anything else. 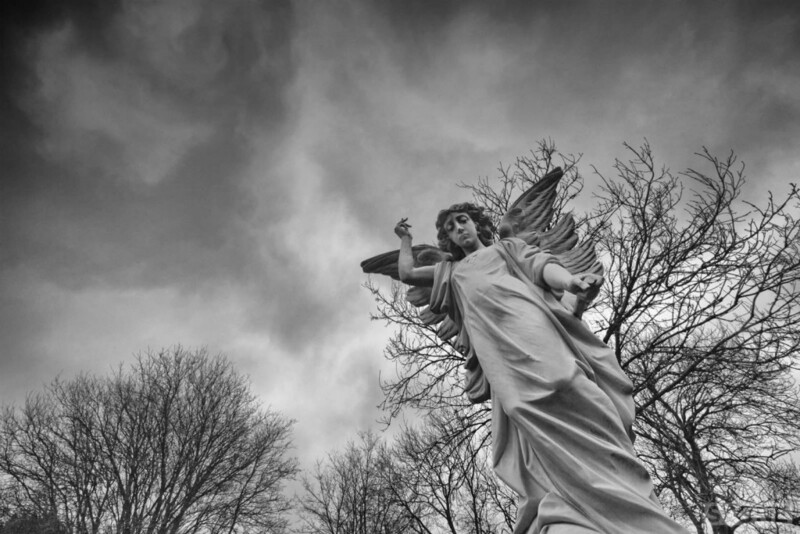 It contains a remarkably imposing angel on a tall pedestal that towers over the graveyard from a slope. On the slope itself half hidden in saplings and ivy rest the church of All Saints. It is a ruin, not much left beyond rubble and flint litter. Under a brooding sky with intermittent rain it was quite a sombre little place, but that’s the weather rather than the atmosphere. It looks very much like it was ruined sometime in the late eighteenth century and certainly ceased it’s spiritual trade in all senses except the continued inhumations by the early nineteenth century. It is listed as a ruin by 1856. It would only have ever been a small settlement, the church, according to Knott has no sign of a tower and was almost a chapel; a satellite to Great Ryburgh sitting on the flanks of the valley. But it is old. Nearby there are areas of Neolithic flint finds in the valley, across the way a possible Bronze Age Ring ditch is just visible on aerial photos, in the valley there are the remains of medieval moated houses. It is listed in the Domesday book as Reieburh. The probable meaning relates to it’s use for growing Rye in Old Frisien Rogga or Old English ryġean, Germanic roots predating the later Danes. There is a vague sense that it could also come from the Danish word rjúka meaning smoke. The Burh or burgh part is quite interesting in itself; Burh an Anglo-Saxon word that is indicative of an old fort or encampment. This is something which you can almost imagine as you stand among the flints and mortar on the raised dais of the church platform and look out across the landscape.